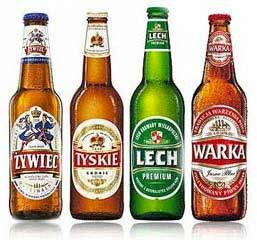 Maybe we’re a bit partial, but here at Busy Bee we think Polish Beers are some of the best tailgate beers. 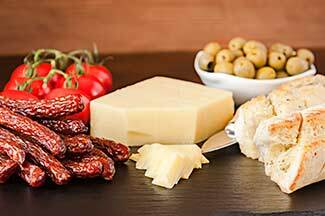 With tailgate season fully upon us, and the weather cooperating nicely, now is a good time to switch up your game by adding awesome Polish tailgate beers, along with some deli specialties. Remember, you don’t even need a car or portable grill to get out to the festivities and partake in some pre-game fun. 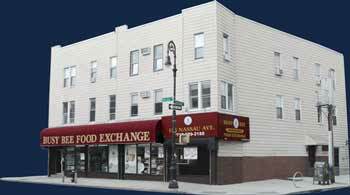 Even though Busy Bee Food Exchange carries your typical fare and tailgate beer for your event, New Yorkers are also known for doing things their own way. Pick up some kielbasa and kabanosy (a thinner version of kielbasa), some semi-hard cheese, bread, pickles, olives, and some fresh produce (cucumber, tomato). Go home and start playing sous chef. Slice up the meat and dice the cheese. Some people prefer to rip the bread, and some like it sliced up. If you like pre-sliced bread, Busy Bee is famous for their rye bread and we will slice it for you. You may prefer some baguettes or rolls. Putting all your food into containers may be bulky if you’re carrying a back-pack and using mass transit. If you’re driving, that’s another story. You can try using Ziploc Bags or wrap it all in parchment paper and put it into a paper bag. The pickles, olives, and olive oil should be in a small container. If you’re going to consume everything within an hour of packing up your bag, and there’s a bit of chill in the air, you shouldn’t need ice packs (except for the beer). Since it’s been relatively warm for this time of year, you may want to pick up some of those flexible ice packs at the dollar store. You may even want to add a little flare to your tailgater by bringing cloth linens and something creative for plates, such as french fry cones or paper basket with tissue liner. Tailgate parties are an American tradition. Going with traditional fare is also a great way to enjoy the festivities. We grind our own beef and pork, make our own potato salad and cole slaw, in addition to carrying the well-known tailgate beers such as Budweiser. And if your pre-game festivities are in an area where you have some lawn available, don’t forget Polish Horseshoes is popular tailgating game. It will go well with your Polish tailgate beer. Cheers!